The Colorado Cowboy Gathering will be held at the Ranum Auditorium Theater located at 2401 West 80th Avenue in Denver, Colo., on Friday evening January 21 and all day Saturday the 22nd. The headliner act for the Friday evening show will be America’s favorite cowboys, Riders In The Sky. The Saturday evening show will feature acclaimed cowboy poet Waddie Mitchell. There will be daytime theme sessions on Saturday from 10:00 a.m. until 4:00 p.m.
Let me digress just a little here and give you a quick history of this type of Cowboy Gathering. I could go back to the year 1990 and tell you about the first Colorado Cowboy Poetry Gathering held at the Arvada Center for Arts and Humanities. That gathering was held every year for 21 years. Or I could mention the 1985 Cowboy Poetry Gathering in Elko, Nev., that was at the time intended to be a one time event. Of course that gathering has continued every year, gaining world wide notoriety. But, even that doesn’t give the full story of the history of cowboy gatherings. I will say as Paul Harvey would have said, “And, now, the rest of the story.” Let’s travel back in time to the state of Texas as the Civil Wars draws to an end. Confederate soldiers had come home from the war and many of them found themselves without jobs. Word soon got around that there were thousands of longhorn cattle running wild in Texas and that there was a market for beef in other parts of the United States. Before long those out of work soldiers were rounding up those longhorn cattle, burning a road brand on them and trailing them north to market. In 1866 Charles Goodnight took a farm wagon and built a cupboard in the back so that his cook would have a convenient way to feed the cowboys who were driving his cattle up the trails. That wagon became known as a chuckwagon and was the cowboys’ home along the trail. Every night the bone weary cowboys gathered around the chuckwagon as a place to eat and a place to sleep. As a way to relax before crawling into their bedrolls the cowboys sat around the campfire singing and telling stories. Many of those stories began to be put into poetry form to make them easier to remember. Consequently those nightly gatherings around the campfires were the beginning of a tradition that has been passed down for well over 100 years to be known as our cowboy singing and poetry gatherings of today. Now, let me bring you back full circle to the Colorado Cowboy Gathering to be held on January 21 and 22. Building on the traditions passed down since the trail driving days, and especially on the traditions of the 21 years of the Colorado Cowboy Poetry Gathering at the Arvada Center, we will continue to preserve the history of the West at this year’s Colorado Cowboy Gathering. Our new location at the Ranum Auditorium Theater will allow us to expand by having an authentic chuckwagon on the grounds. 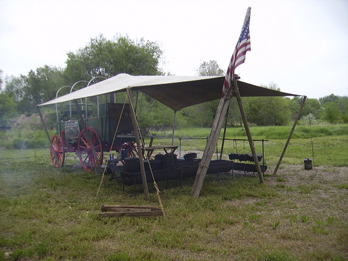 The S&S Chuckwagon will be there for more than just aesthetics. There will be real chuckwagon food available during lunch time on Saturday and a limited number of tickets will be sold for a full chuckwagon dinner before the Saturday night show. Sharing the stage with Riders in the Sky on the Friday night show will be Carol Heuchan from New South Wales, Australia, Liz Masterson from Denver, Colo., and Andy Nelson from Pinedale, Wyo. Along with Waddie Mitchell on Saturday night will be Doris Daley from Turner Valley, Alberta Canada, Pop Wagner from St. Paul, Minn., and Jon Chandler and the Witchitones from Commerce City, Colo. Featured on the Saturday daytime sessions will be other poets and musicians from Colorado and surrounding states. They include Mark Gardner and Rex Rideout, Susie Knight, Al “Doc” Mehl, Deb Carpenter-Nolting, M. Timothy Nolting, John Schaffner, Barry Ward, and the Yampa Valley Boys. Rounding out the list of daytime performers will be Milton Taylor from New South Wales, Australia. Tickets can be purchased over the phone by calling (866) 464-2626 or at any King Soopers. More information about the Colorado Cowboy Gathering can be found at http://www.ColoradoCowboyGathering.com.